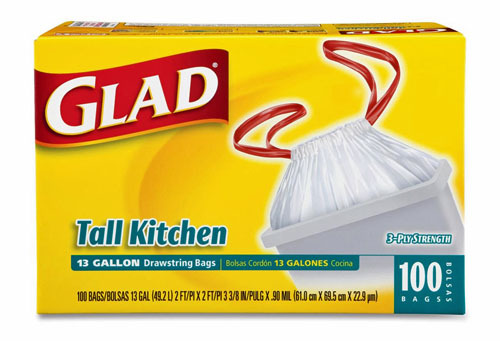 Glad Tall Trash Bags are strong and durable enough to contain your messiest trash. One quick pull and it’s closed. They also make for easy lifting and carrying. You can count on Glad.